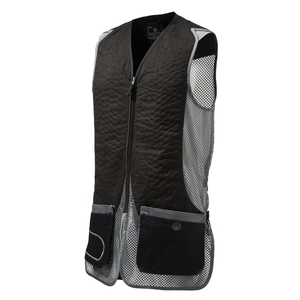 Beretta Mens DT11 Vest. Ambidextrous shooting vest in cotton and breathable mesh with eco suede leather front patches and DT11 recever embroidery. 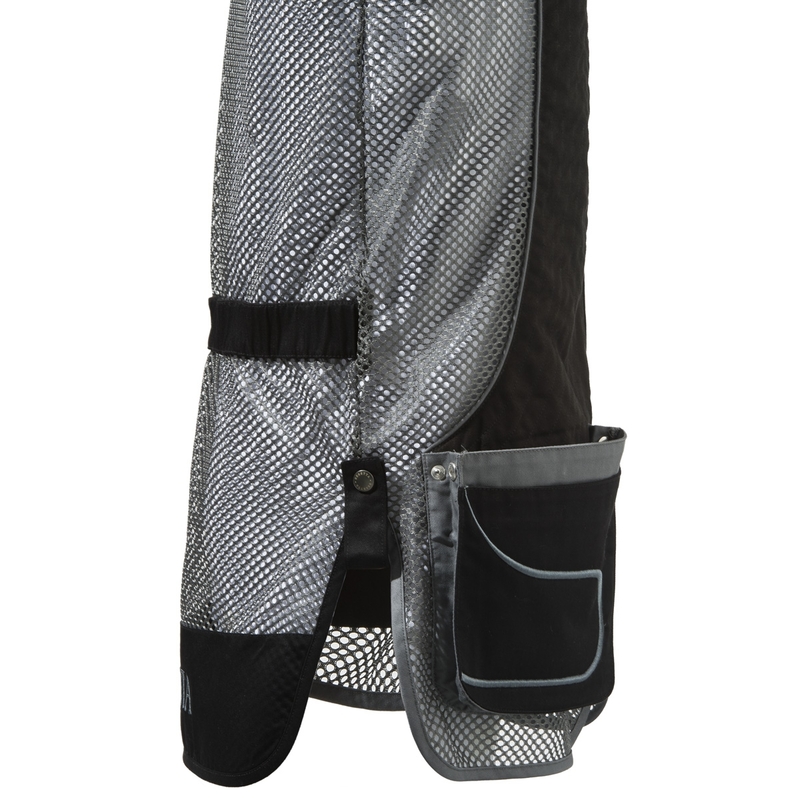 DT11 is the new shooting line based on the Uniform Pro shooting vest experience. 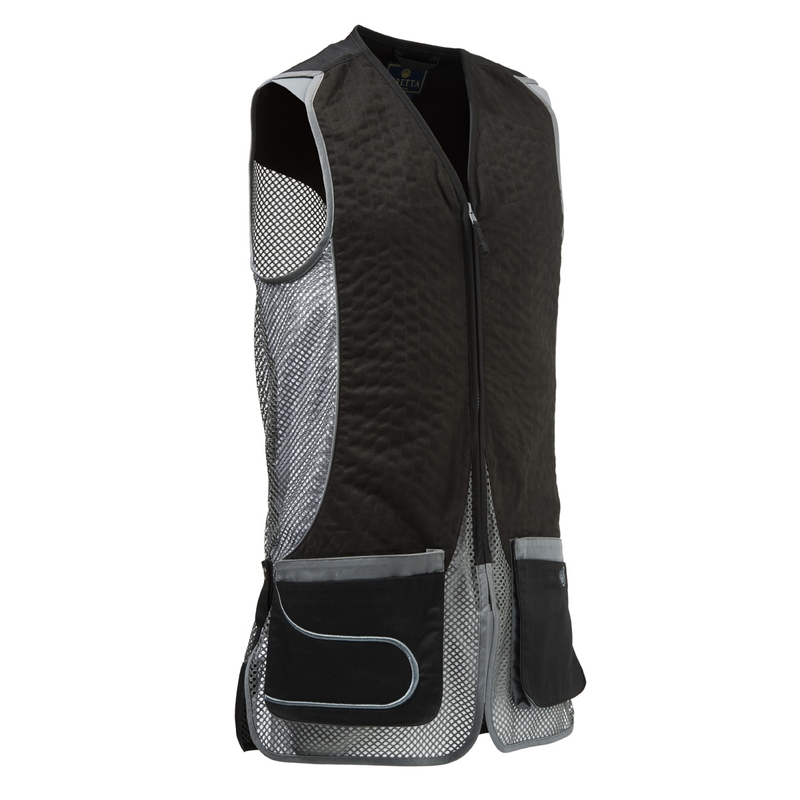 This vests have strong character due to the DT11 blue contast color details and to the silver breathable mesh. Suede eco leather shooting patches. 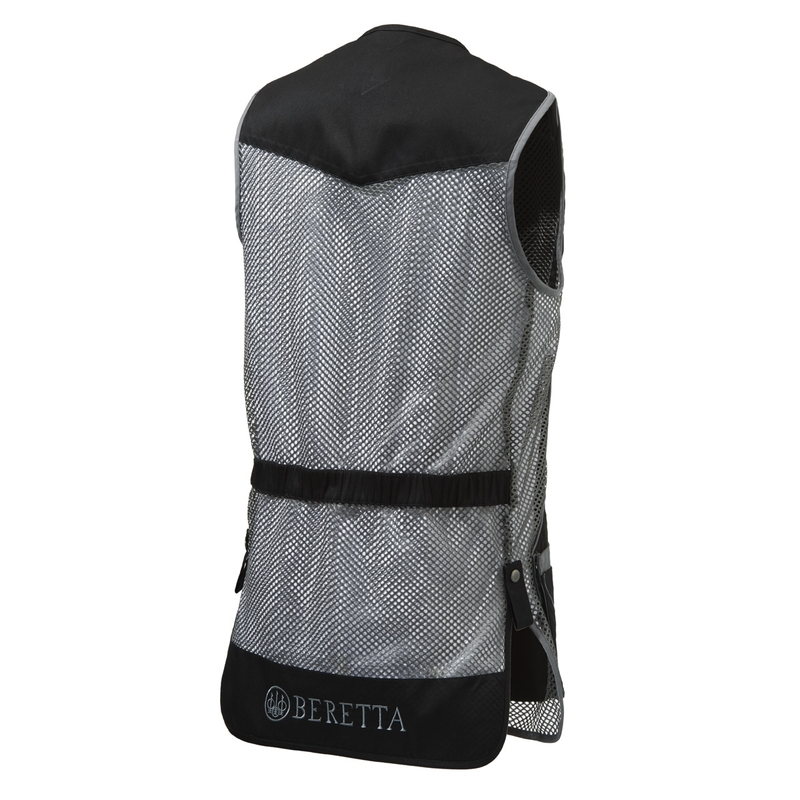 Beretta brand and logo embroidery on the back. Towel/earmuff binding on the back.